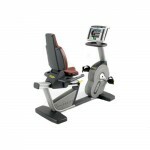 For the past 25 years, Technogym has been the leading producer of Gym and fitness equipment. Design, cutting-edge technology and innovation are the benefits of choosing technogym. Like many 5 star fitness centres and Hotels throughout Ireland and across the world.Technogym equipment gives an excellent return on your investment.